Marathon, FL – The South Florida Water Management District (SFWMD) Governing Board today declared May 13-19, 2018 as Water Reuse Week in Florida. The resolution urges local governments, utilities and businesses to implement water reuse programs to help protect future water supply of 8.1 million South Florida residents. As part of the annual recognition of Water Reuse Week, SFWMD Governing Board Member Clarke Harlow passed the ceremonial purple jacket, an honor bestowed on one Governing Board Member each year to recognize their support for water reuse, to SFWMD Governing Board Chairman Federico Fernandez. "This Governing Board firmly believes that water reuse is a cornerstone of our region's water supply strategy," said Fernandez. "With the successes of water reuse on full display around South Florida, agencies, utilities and citizens should be encouraged to reuse and conserve as much water as possible." Water reclamation facilities in our communities receive wastewater from homes and businesses, treating it until it achieves high quality standards. 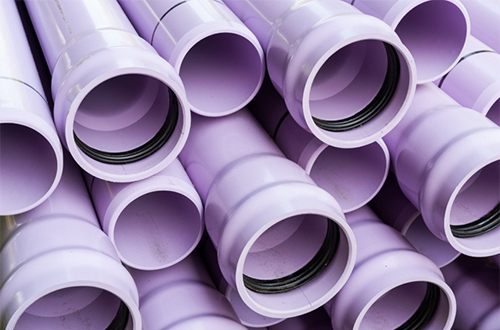 Next this water is sent through purple pipes for irrigation of residential lots, golf courses and other green space, industrial uses, groundwater recharge and other beneficial purposes. The SFWMD Governing Board continues to partner with utilities to expand their water reuse capabilities. The amount of water reuse District-wide has increased dramatically from approximately 100 million gallons per day in 1994 to 275 million gallons per day in 2016. In some areas like Orange, Polk and Osceola counties, as well as the Lower West Coast, close to 100 percent of the wastewater generated is reuse while the treatment and reuse of wastewater in the Florida Keys continues to increase.